Although Pokemon Go isn’t advertised as an MMO, both experts and players have noted it does present some interesting similarities: Both have tons of players on servers where player locations are tracked. Both games task players with interacting with AI and (in simple ways) other players. And the game worlds in both are directly impacted by player action (remember, Pokemon Go is based on the Ingress map that was sourced out to the players). Being an MMORPG site, we’ve talked about socialization and how it relates in particular to our genre. However, much like other modern MMOs, PoGo can lead to the sort of “alone together” situation that seems to eternally threaten our genre’s relevance — indeed, its existence. Pokemon Go from the outside appears to have a thriving community. Like World of Warcraft, PoGo is based on a mainstream IP that’s been applied to genre that’s usually pretty niche. Similarly, the early game and fundamentals are accessible enough for people who aren’t genre veterans. But PoGo in particular suffers from some fairly obvious design issues. All games hide some statistics, but that, along with the reality-based nature of the game, spawned the production of and demand for various online and offline communities revolving around the game — without the developers’ inherent support. Much like the earliest online games, PoGo has no in-game method of creating player-made social structures like clans and guilds. Instead, players flock to Facebook and Reddit groups, form teams that research game mechanics, create in-game tags, or simply create meatspace groups that travel together, much like Ash, Misty, and Brock did in the anime series. While that last option is harder, given that players are often strangers online, the other options are accessible enough. From my personal perspective, the community is relatively welcoming and reminds me why game forums have always helped me form bonds with my fellow players. But all of this is unofficial. Niantic has yet to implement a friends list, chat system, or many features to increase player interaction. In fact, when the buddy system was first discovered, I thought it would involve pairing up human walking buddies to add to the socialization. Sadly, it reinforces the alone-together nature of the game. It adds another reason for players to go out, sure, but wouldn’t a trading system, even one that allowed online trading, encourage more human interaction? Due to the ARPG nature of the game, Pokemon Go sometimes feels like playing a singleplayer game in which you’re surrounded by other people playing the same game at the same time, just not with you. Yes, you can give tips to other players, but there’s rarely a way to directly help or hinder another player. In fact, as people may have seen from certain YouTubers in the early days, your fellow player (or even non-players) can troll and grief players by calling out the location of rare pokemon that simply aren’t there. It’s nice that the game gets you out and into public spaces where you can actually meet other potential gamers, but one thing I’ve been strongly reminded of is that not everyone in real life is real friendly. It’s like the local trolls in your favorite game’s general chat: Games can bring out the worst in some people, anonymous or not. For example, the early days of PoGo may have had people helping each other out in meatspace, but I have a feeling there are a few reasons this practice has died down, and it’s not just because the player population declining. Experts have discussed how the tedious aspects of a game can lead to socialization, but as PoGo generally encourages some kind of movement to find new pokemon, gym battles are the best way to find other players. At least where I live, many casual players don’t seem to understand gym mechanics, giving me a reason to talk to them, just as in Japan. However, because gyms have no lockout timer or cooldown between victories, you have both randoms and real-life friends constantly recapturing gyms and then refusing to place down decent pokemon to hold it, leading to some tense moments when friends get annoyed when their other friend on a different team keeps yoinking away their gym as they all stand around blazing through their in-game consumables. Had Niantic allowed for player-made social groups rather than developer-enforced “teams,” maybe the socialization would improve, both for pre-existing groups of friends as well as for those who need motivation to play with new people. Even the once-helpful practice of calling out pokemon spawn locations has problems as the game ages. For one, even casual players have a rather nice collection of monsters by now. While Lapras and Snorlax are the dream spawns, most “rares” people call out won’t be worth anyone’s time, especially if they’re weak. One of my friends is a collector, but when we play together, she rarely mentions if she sees Eevee or Exeggcute, pokemon that can evolve into great fighters. She’ll only speak up for Ninetales or Primeape nearby, pokemon that don’t spawn here often, are a bit rough for us to evolve, and don’t have a strong presence in the meta game. If she’d yelled their presence, it might have attracted some players, but others might think she was wasting people’s time. Simply telling me is safest. Online, you don’t have to face trolls or overly aggressive players, but in real life, it can get weird, so people probably just try to avoid creating those situations. Annoying people is one thing, but playing in real life also presents some real dangers. Not only do pokemon sometimes spawn in the middle of the road or on private property, but some people target PoGo players in particular. While I know someone in the comment section always reminds us all how far geekdom has come (and there’s research to support that), the fact that several players I was with recently were taunted by a homeless guy wielding a drop spindle should say something about how gamers still have social stigmas to overcome. As I’ve discussed previously, since moving back to the U.S. from Japan, I’ve been a bit paranoid about crime. In popular areas, people are quite open about playing, but I don’t see a lot of people talking to strangers. This makes the smaller areas where people are trying to be more stealthy about their play feel less friendly. While I’m not (entirely) ashamed to play the game, others clearly are. This isn’t just about being in a parking lot taking a gym with whoever is in the one and only car around, but even with catching. I’ve seen people look nervously away from me when I realize they’re playing too, making it difficult to approach other players. Lures don’t seem to help the situation much either. They attract other players, but you get a lot of loners or people who just want to sit around and play with their existing circle of friends. While this may be normal in a bar or restaurant, I’ve had the same happen in the middle of a park that’s normally empty. People brought their own friends, but there was little conversation between anyone, even if they were on the same team. The nearby gym may have caused a bit of this, but this occurred in Japan as well at my nearby park in the U.S. The frustration reminds me of times I’d go to a quest area in an MMORPG and see many people on the same quest — but almost no one who wanted to team up. While the game does have us thinking about and using space in a unique way, experiencing people who essentially decline to group in real life makes me doubt the strength of the genre (and lately, even the geek lifestyle). This isn’t to say playing in real life is all bad. In fact, it sometimes makes the world feel like an arcade, especially in areas that may have been less busy before and now are populated by a high percentage of PoGo players. Gyms allow you to leave your “high score” around town, creating minor local celebrities. It’s been fun bumping into a name I’ve seen around town as we capture a gym together. Like WoW, PoGo has attracted some of my circle, letting me game with old friends I mostly just studied and watched movies with. Even being able to talk with very casual players or people who’ve only heard about PoGo has at least somewhat improved my social life. The game can act as a springboard to other topics, like the role of entertainment and exercise in the digital age, which becomes more interesting when you get multiple generations involved — if they get involved. One recent addition that’s changed up the social scene for some people has been the release of Pokemon Go Plus. 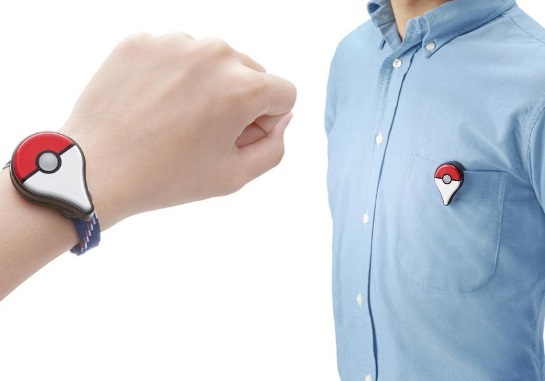 I won’t do a whole review of the product, but let me sum up: It’s a wearable device that allows you to click a button to (just once) attempt to catch nearby pokemon, collect goods from PokeStops, and continue your km count on eggs or with your Poke-buddy, all without needing to turn your phone’s screen on. Players without the Plus usually have to choose between seriously hunting and socializing. Walking around the mall with your face in the screen comes natural for some of us gamers, but most of us are also aware that it looks weird. Being able to click a button to at least have some small (and inefficient) way to keep playing is useful. By keeping the device hidden in my pocket, I’ve been able to continue playing during some social functions too, without anyone noticing what I’m doing. When I do pull out my phone to check my haul during downtime, people who know the game can talk to me about it a little, without it dominating our entire outing or event. In fact, recently when I did this, a Plus-less fellow player basically gave up on playing most of the time. When we finally did have some downtime, she wandered around to make up for the lack of progress she’d made that day, calling attention to herself that embarrassed other players, which is unfortunate since that’s the way the game was designed! This brings to mind a few things. First, Niantic really didn’t think of its game in terms of social dynamics at all. Walking back and forth to track pokemon is hugely suspicious and can be extra dangerous for certain groups of people. Next, for a game that’s supposed to get you to exercise, it sure does force Plus-less players to stand in one spot a lot, which isn’t a great idea if you’re trying to keep your heart rate up to burn calories. Finally, while socializing as a gamer in America seems easier than in Japan, it still attracts unwanted attention. It’s stigmatized. The Plus’ intended design does seem to improve the way I can play the game and be social, but its physical appearance doesn’t match this at all. Pokemon Go may not be a traditional MMORPG, but it has a lot of qualities in common all the same: a massive number of players, servers that track player behavior, ways to impact the world, AI to fight, and even factions. However, it has its own unique issues too. As in a popular MMO questing area, just playing near other people doesn’t actually mean you’re playing with them — you may be playing against them! And while player-made teams, in-game chat, and friend lists are hypothetically my dreams for the game, I also know that they could result in game-supported ways PoGo could be abused for criminal purposes. 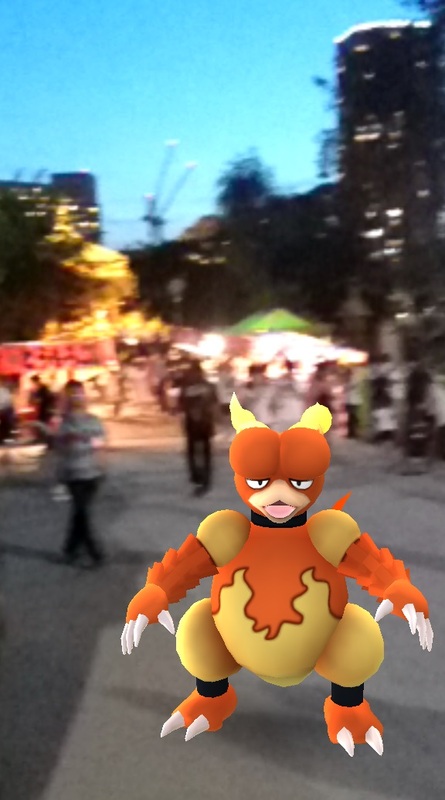 Having hidden spawns for pokemon may encourage exploration, for example, but they also make players act in unnatural, even suspicious ways in public places. They may even lure less restrained players into places they shouldn’t be. Making use of real space also means the game consumes more real-world travel time and resources compared to, say, a server where you create a digital castle others can see and visit from the safety of their homes. The game’s certainly pay-to-win (it’s all about incubators, people! ), but few P2W games also require the use of real-world travel, further ensuring affluent players have an advantage over poorer ones. While Niantic’s Plus device helps ease some issues, it does make me wonder why features such as detecting nearby pokemon while your phone is off weren’t baked into a more robust application from the start, either for browsers or Nintendo’s 3DS system, allowing players to simply “queue” events they pass while travelling around the real world. The crowds of players in real-life, high-traffic areas were something I saw a bit of while watching someone play Ingress, so it’s hard to excuse Niantic for overlooking this issue. Physical space to meet fellow players is great, but there should be a way to do it without creating safety hazards. Pokemon Go has done so much to get players like me out and socializing more, sometimes with people who may not have dreamed that they’d invest their time in digital worlds. However, the game still needs to evolve to better fit the players, communities, and the real world it tries to push players to explore.